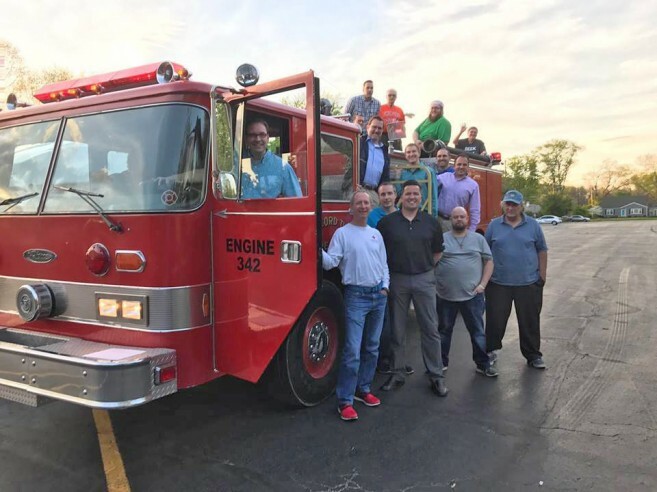 The Caye Caulker Fire Department will be the proud new recipient of a fire truck thanks to a generous donation from the Beechwold Christian Church in Columbus Ohio, United States of America. 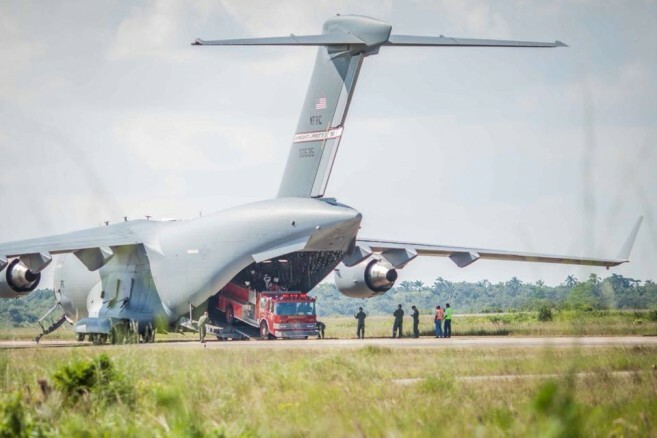 The much-needed vehicle arrived at Belize’s Philip S.W. Goldson International around 12:30PM on Wednesday, November 8th, aboard a U.S Airforce C-17 Globemaster aircraft. Local authorities on La Isla Cariñosa, along with the island’s fire department are now making arrangements to transport the truck to the island. 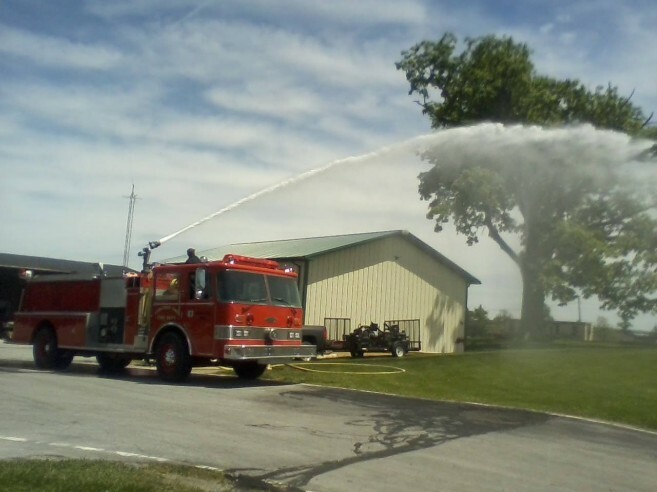 The fire truck is a 1981 Pierce Arrow model, very common in fire trucks, and according to James York III, a former firefighter and member of the Beechwold Church, it is in excellent condition, with just a little over 50,000 miles. York told The Sun that the truck also comes with some hoses and a 1000 gallon tank. York explained that this movement all started in 2013 when he was visiting Caye Caulker. He met the island’s Head Firefighter Miguel Matus, with whom he stayed in touch upon his return to Ohio. York says that they spoke about the possibility of acquiring a fire truck for Caye Caulker. “Miguel, I would like to get you a real one!” was York’s response, even though he did not exactly know how he was going to do such a thing. “I almost fell off out of my chair,” said Kleeman. “I never heard such a request before, but after York told me the story… I said ok, I will definitely pray for it!” Kleeman says that he was amazed at York’s faith and asked God to grant the request. According to York, after that meeting, things began to happen fast, and within a few months, they were able to get a truck from a dealer. The truck was checked and tested for its efficiency before being sent to Belize. 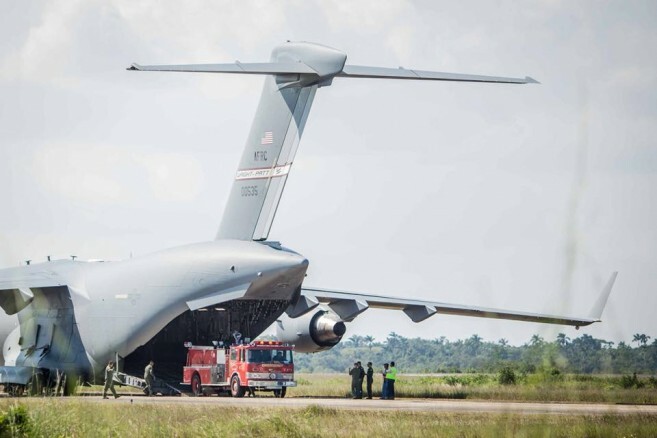 The delivery of the fire truck to Belize was made possible by the ‘Denton Program,’ which allows U.S based non-governmental sources to transport humanitarian aid at little or no cost to the donor. 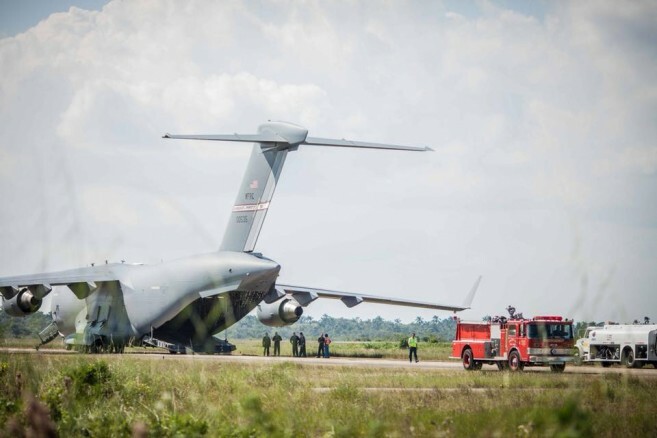 U.S military transport assets are used in these types of works and are administered by the U.S Agency for International Development, Department of State, and the Department of Defense. The program is the legacy of the late Admiral Jeremiah Denton, a Vietnam War Veteran and also a U.S Senator from 1981 to 1987. His vision of humanitarian aid continues to assist thousands of children and families throughout Latin America, the Caribbean and parts of Asia. With just a few days before the fire truck gets to Caye Caulker, Matus is thankful that his wish was made possible. “In approximately three years, my dream came through! It seemed like no one cared for the island, so I took the initiative to do something.” He stated that the island’s fire department currently counts with two vehicles. One vehicle has a 250-gallon tank and the other one just has a portable pump. Chairwoman of the Caye Caulker Village Council Enelda Rosado is also thankful for the donation. “This will greatly improve the services of our fire department in case of any emergencies on the island. They will be better equipped since this truck is bigger than the other ones we have at the moment. It is a great contribution to the people of Caye Caulker, and we thank the donors for their generosity,” she said. Rosado is anticipating that if there are no delays, the truck should be in Caye Caulker early next week. The community of Caye Caulker joins in saying a BIG ‘thank you’ to the donors for this amazing contribution. Thanks go out to The Beechwold Christian Church, James York III, Darin Kleeman, The Denton Program, U.S Southern Command Unit, 445th Airlift Wing, Doctor Brad Martin from Wisconsin/Nicaragua Partners of the Americas and all other persons involved in making this donation possible.